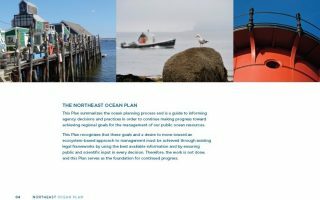 Certified by the Obama Administration’s National Ocean Council in December 2016, the Northeast Ocean Plan summarizes the ocean planning process and is a guide for agency decisions and practices that advance progress toward regional goals for the management of our public ocean resources. 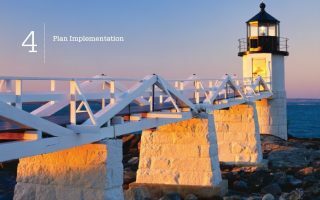 These chapters describe the path forward for achieving the Plan goals—a path that reflects the RPB’s interest in continued public engagement, a foundation in sound science, and an adaptive approach to managing the ocean ecosystem. 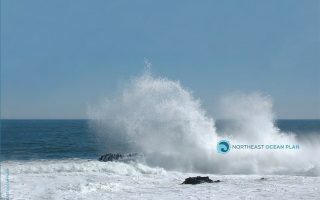 CHAPTER 1 describes the unique characteristics of the Northeast region and the need for and benefits of ocean planning. 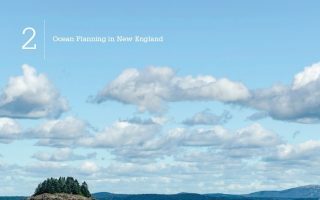 CHAPTER 2 summarizes the ocean planning process to date, including the development of the ocean planning goals, the Northeast Ocean Data Portal, and the Plan. 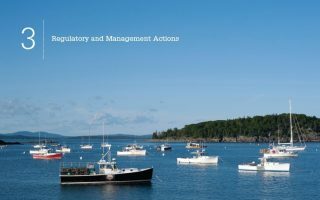 CHAPTER 3 summarizes the regulatory framework for managing ocean and coastal resources. 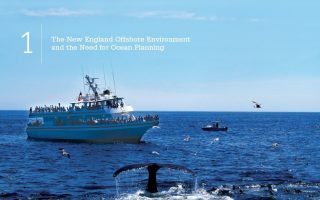 It then provides an in-depth look at the primary ocean resources and activities for which this Plan will guide and inform decision-making. These include marine life and habitat, cultural resources, marine transportation, national security, commercial and recreational fishing, recreation, energy and infrastructure, aquaculture, offshore sand resources, and restoration. CHAPTER 4 describes how the RPB will implement the Plan. This includes best practices for intergovernmental coordination and stakeholder engagement, Plan implementation and oversight responsibilities, and commitments to developing frameworks for monitoring and evaluating Plan performance and ocean and ecosystem health. 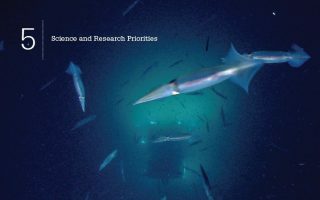 CHAPTER 5 identifies knowledge and information gaps and organizes those gaps under six primary science and research priorities. These data and information gaps were identified throughout the planning process by the RPB, stakeholders, and scientists. Agencies’ decisions will be enhanced as each of these gaps is filled by the RPB and the broader community over time. This section includes additional information and resources. 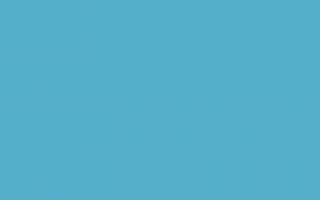 Download the entire Plan as a PDF (112MB, 206pp).